You need to have a Twitter account. 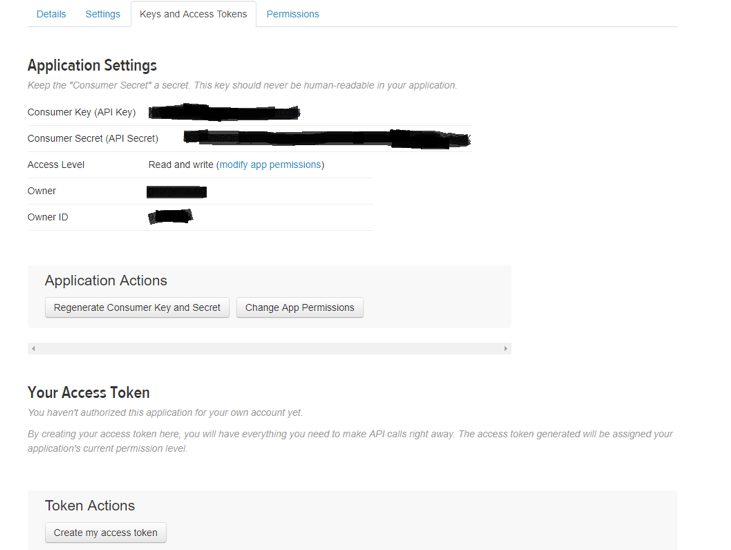 If you do not already have an account, you can follow this link to create one. 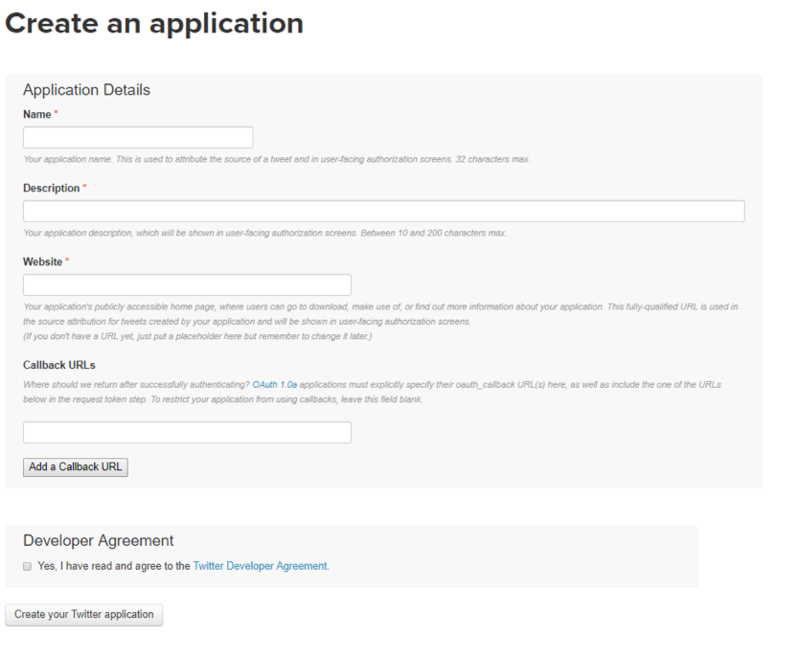 Once you create an account, you will need to create a Twitter application. Here is the link to do so. 4. Open a new Stata dofile and create 4 local macros which take the names listed above (consumer key, consumer secret, access toke, and access token secret); Note: the XXXXXX refer to the information that has been redacted because this information is private and should not be shared with anyone. twitter2stata setaccess "`consumer_key'" "`consumer_secret'" "`access_token'" "`access_token_secret'"
Stata downloads a dataset with 45 variables which include the date and time the tweet was created, the actual tweet text, when possible geographical location (longitude latitude), user screen name, user’s display name and description, time zone, user’s URL, user’s list count, user’s status count, user’s follower count, whether the tweet was retweeted among several others. The information that is imported includes 22 variables (see file) where for instance: the user_account_timestamp is when the user joined Twitter, user_follower_count is the number of followers, user_favorite_count is the number of likes, user_friend_count is the number of following, and a dummy that is 1 because the user is verified. We end up with 45 variables and 3,200 observations (tweets). Check the data here. There are several options that allow the user to edit the choices such as limiting date range, focusing on specified list, etc. However, keep in mind that the command is governed by limitations from Twitter that you can read about here.